If you're wondering about visiting Turkey, you will find many reasons to do so. This beautiful Mediterranean country is surrounded by magnificent coasts and sea, and is full of natural beauty. Pristine bays and plenty of sunshine are there for you to enjoy as a backdrop of an unforgettable vacation, as unique as the taste of Mediterranean cuisine that leaves a delightful impression on the palate. Options for fun activities also abound. 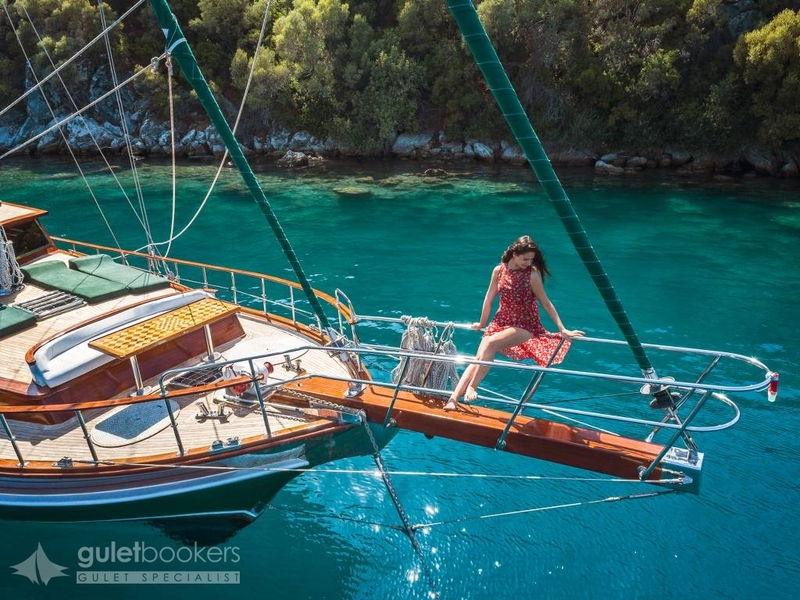 At Guletbookers, our trademark is to offer you the holiday of your dreams, custom-made just for you to meet your unique taste and needs. 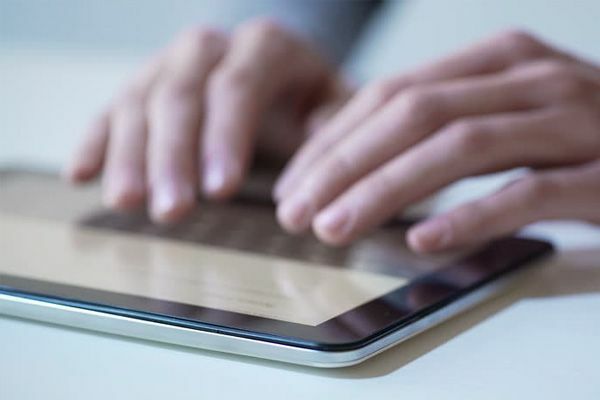 After all, we are known to provide the highest level of service standards in Turkey among our competitors in the sector. 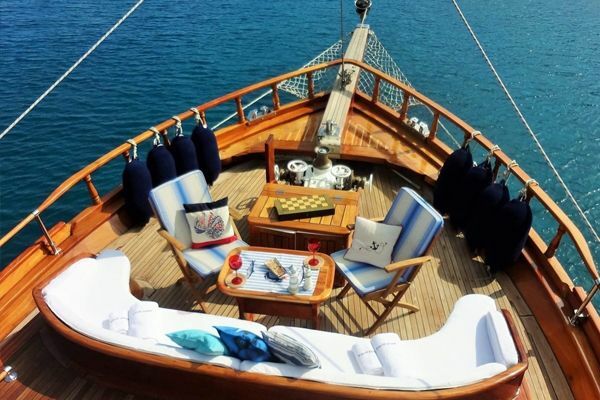 We are renown for our luxury yacht charters and service to jet set high society traveling to Turkey. 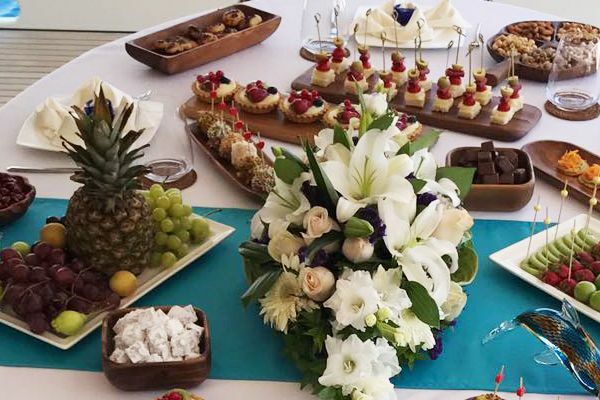 We hold high standards in our business — from the choice of our gulets to the way we meet your requirements, down to the food you will taste while vacationing. 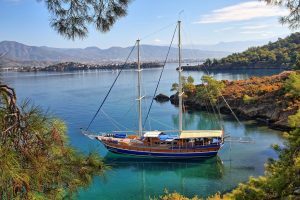 Sailing in Turkey in the comfort and pampering service of a professional and friendly crew on a Luxury Gulet is a memorable experience you will look back to with a longing smile for years to come. 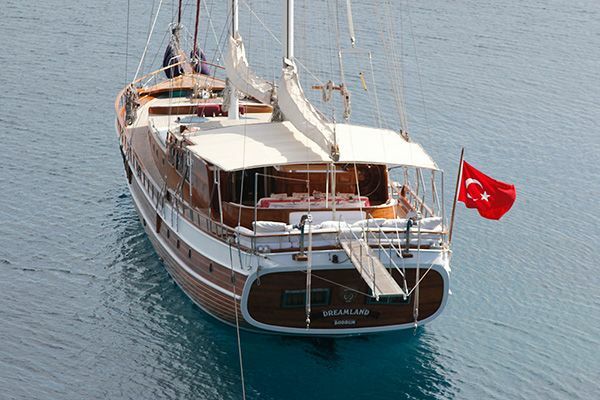 We offer a wide selection of motor-sailer gulets to choose from according to your needs. 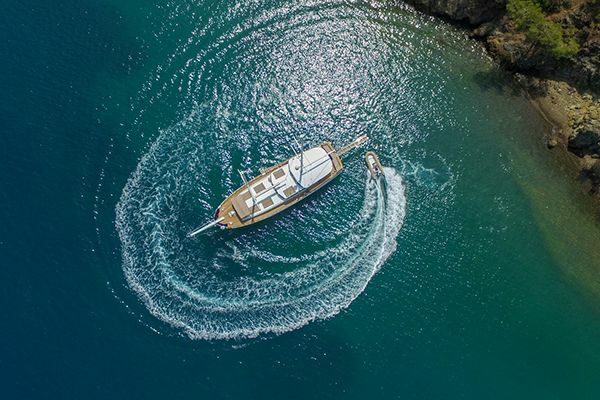 Our yachts are also fit to open sail so you can enjoy the pleasure of silent cruising against caressing summer winds and waves. 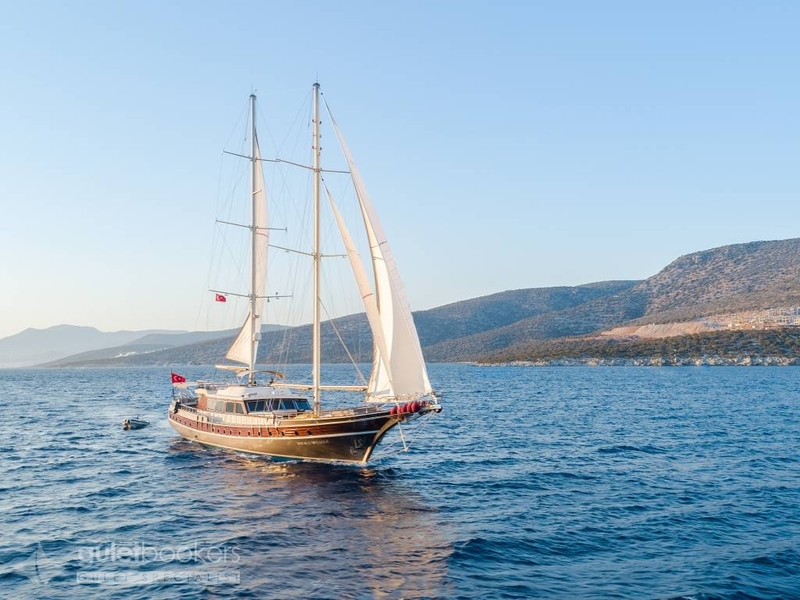 A Turkish gulet cruise will usher you into an incredible holiday of relax, beauty, comfort and fun. 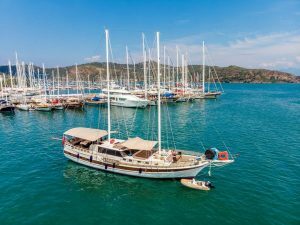 Destinations along the way in Bodrum, Milas, and Dalyan to name a few will beautify your tour with unique natural wonders while you swim, bask in the sun, and have fun with your loved ones. You will enjoy fine meals prepared to your liking in the comfort of a boat designed to offer you adequate space in cabins, bathroom and shower areas. All yachts vary in size and amenities according to your preference and budget. We will gladly assist you in choosing the best yacht for you and your group. 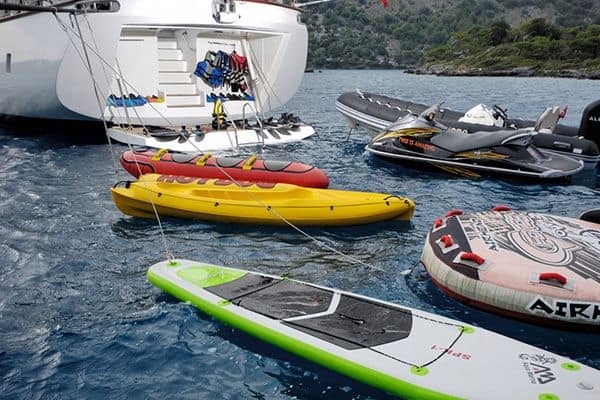 Our private yacht charters in Turkey are also equipped to offer you great fun and enjoyment with jet ski, snorkeling and other water sports, as well as gaming sets, books, musical instruments aboard and so on. You will be pleased to have chosen us for the best holiday of your life. 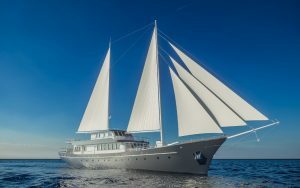 Our experienced captains will suggest you the best routes to meet your requirements and preferences. If you’ve ever dreamt of taking a Blue Voyage cruise, the only thing left for you to do is to simply book right away!